At the end of the video, there's a question asking you to find a "hidden star" in it. I've included this as a puzzle under Puzzles and you can view the answer in Answers. 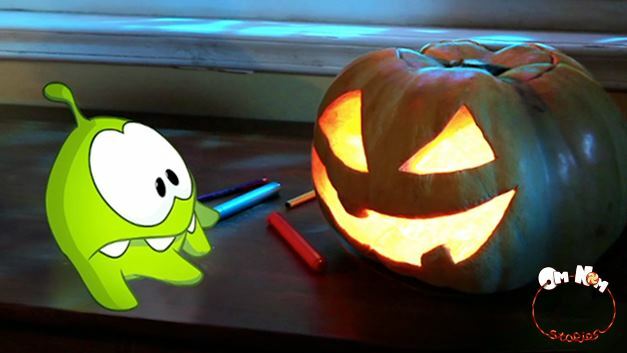 Another thing is that because Halloween has just arrived, ZeptoLab decided to release Episode 5 of Om Nom Stories ahead of Episodes 2 to 4. Sneak Peek of Special Halloween Episode of "Om Nom Stories"
ZeptoLab will be releasing a NEW episode of Om Nom Stories to celebrate Halloween. The above screenshot was taken from it. If you're impatient, you can visit the Facebook page of "Cut The Rope" http://www.facebook.com/cuttherope for the latest news update. 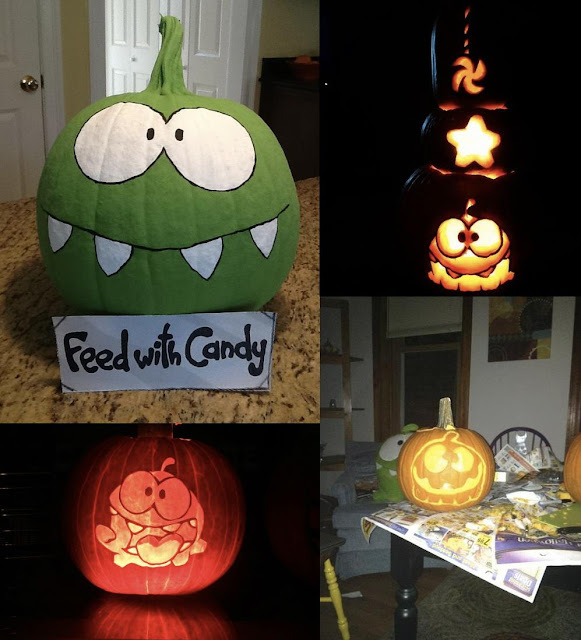 Some of the artistic fans submitted photos of their Om Nom pumpkin carvings for Halloween and the above were selected by ZeptoLab as the best.